There are undoubtedly many considerations that must be made when it comes to identifying which bike is the right one for you. 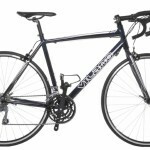 However, of these considerations, one of the most pivotal is the weight of the bike. 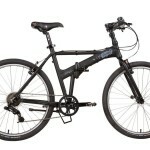 Below we have drawn together what we believe are the best lightweight folding bikes that are currently available. The debate of whether a lighter bike provides any significant benefits on the road is an age old one that has raged for many decades. This question has been a central topic of conversation between everybody from amateur riders, right through to the professionals. Ultimately the lightest folding bikes can make a huge difference on the road, however we believe that it is essential to consider whether or not you personally require a lighter folding bike. 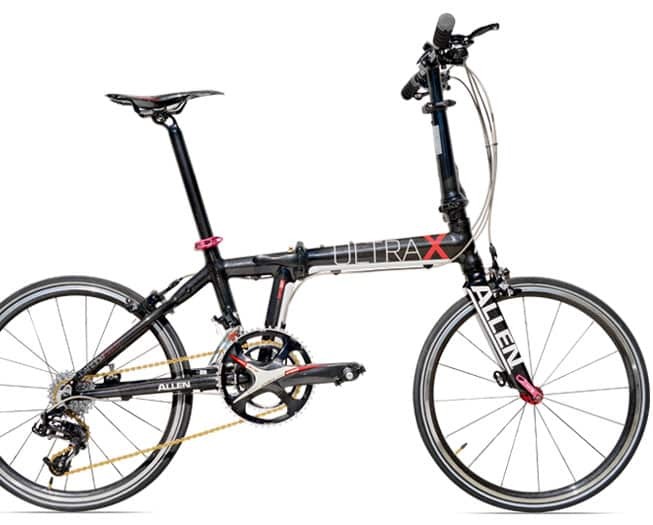 Allen Sports have done an absolutely fantastic job in producing an 18.75 lbs folding bike in the Ultra X. It stands out so far in front of the others as a result of its exquisitely styled carbon fiber frame. The Ultra X is the lightest folding bike with standard 20″ tires and there is, simply put, no other bike that comes even close to matching its prowess. Not only is this outstanding folding bike lighter than the other models on this list, it also boasts more gears than all of them too. It comes complete with 20 gears, a rapid rear derailleur and an exceptional folding mechanism which enables the bike to fold down to a small size (33″ x 27″ x 14″) too. This premium folding bicycle would certainly be my favorite and chosen folding bike if it wasn’t for the hefty price tag. The performance that this truly lightweight folder offers is second to none and should be considered by all who can afford it! 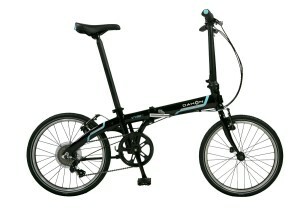 Coming a very close second on our list is the Dahon Mu Uno. It is unsurprising to see a Dahon model so high up the list and it is something that we have become accustomed to over the years. This stunning model is one of the cheapest on our list, however weighing in at approximately 21.9 lbs it is clearly one of the lightest too. Aside from paying extortionate amounts of money, it will be incredibly difficult to find a lighter folding bike with 20″ wheels. 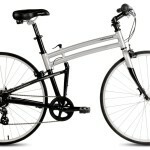 The Mu Uno is a single speed folding bike that has been designed to look sleek on the road. Its minimalist guise is completed by a gorgeously curved frame and matte finish. 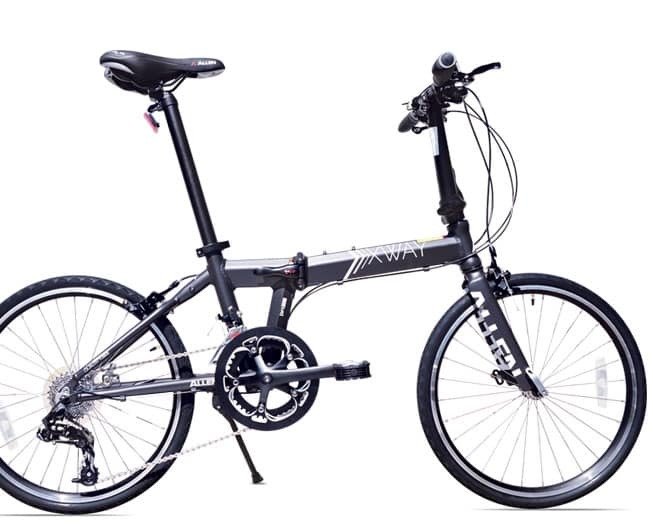 Well priced and extremely well built, if you’re looking for a cheap but excellent lightweight folding bike then look no further – the Dahon Mu Uno is the perfect model for you! While the Dahon Mu SL comes with marginally higher quality components and larger wheels than its sister model – the Mu Uno, there wasn’t really too much to choose between the two – specification wise. Indeed, the SL weighs in at 23.5 lbs (1.6 lbs heavier than the Uno), but aside from that it was neck and neck – both models are some of the lightest folding bikes around. This in itself illustrates just how much of an exceptional bargain the Mu Uno is. There is a considerably price discrepancy between the two models, with the SL typically costing twice as much. However, it is essential to outline that the larger 451mm wheels on the SL will make up the weight disparity. Weighing in at approximately 24.4 lbs – the Allen Sports XWay is another lightweight folding bike that boasts various exceptional features. The XWay is a mid-range model by Allen Sports that comes with a similar setup to the more premium (and lightest) Ultra X. While it certainly doesn’t command quite as much recognition as Allen Sports’ flagship model, this bike is outstanding in its own right. The XWay comes with 20 gears, a rapid rear derailleur and can be folded down in under 15 seconds too. One inherent benefit of the larger wheels on the XWay is additional speed and stability – something that is rather important and sought after in folding bikes. 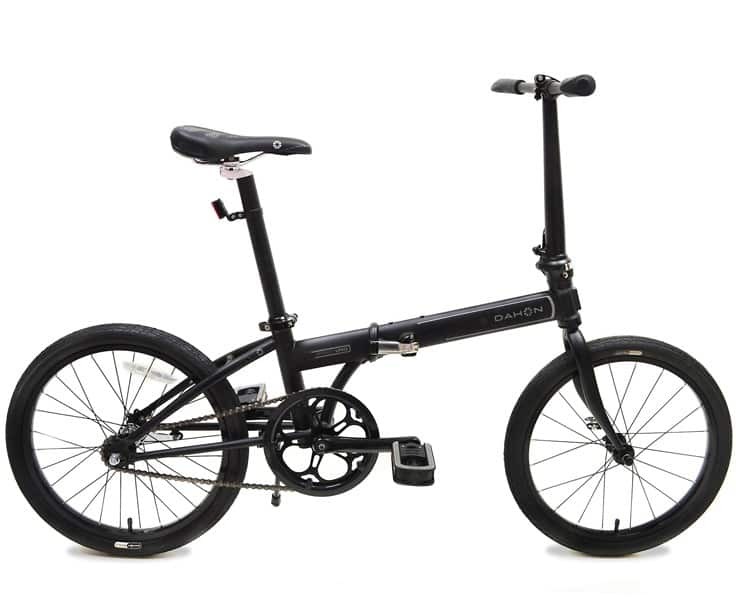 Another of my favorite looking folding bikes, the Dahon Speed Uno is a modestly priced beast that is again one of the lightest folding bikes around. It weighs in at a measly 24.1 lbs and will therefore pose no challenge when carrying it around, wherever you find yourself. 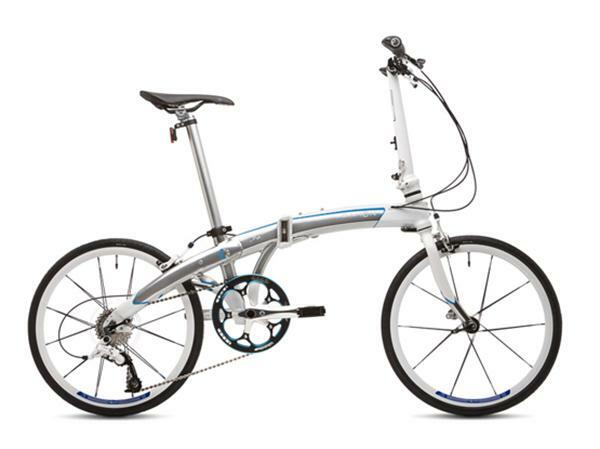 Dahon have a reputation for building sturdy folding bikes and this is no different when considering their lightweight models too. The Speed Uno comes with standard 20″ wheels and can be folded down in under 15 seconds too. 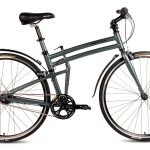 It is a single speed model and is an extremely comfortable ride. 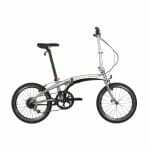 The biggest selling point of this bike is the low price point it is typically offered at, you will struggle to find a light folding bike at this price absolutely anywhere. 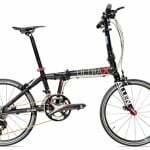 As I stated at the beginning of this article, it is important to try to ascertain whether or not you genuinely require a lightweight folding bike – or at least one of the lightest folding bikes around before purchasing one. Clearly, if you plan on carrying your folding bike around for an extended amount of time then it makes sense to find a particularly light one. However, if not then you may be sacrificing some additional functionality for nothing other than saving your arms a bit of extra work. Not only do the lightest folding bikes cost considerably more than the more weighty models, they also tend to lose some functionality and additional features too. Ultimately, in the folding bicycle business, lightness is going to cost you. 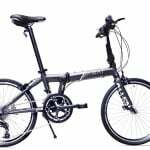 Another essential fact to bare in mind when deciding whether or not to purchase a lightweight folding bike is whether or not you can handle the instability of them. Yes, you heard it right – instability. One of the biggest issues with light bikes is that they can be particularly “twitchy” when on the road and as a result can be fairly unstable – obviously this is entirely model and specification dependent. Furthermore, it is also crucial to weigh in the fact that lightweight frames can be considerably less durable than the heavier versions. As a result they can lose their rigidity and may or may not be in one piece after a crash. Fortunately the models listed above are all well built and are high quality models. One other potential solution that is certainly worth considering is purchasing a heavier model and then modifying it so that it weighs less. Now, this may not be possible on all folding bikes, however for the majority of bikes around there are some modifications that can be made to make them lose some weight.